Shanghai claimed it has developed the world’s first district with both 5G coverage and a broadband gigabit network. Trial runs of the 5G network, backed by telecom carrier China Mobile, officially started Saturday in Shanghai’s Hongkou district, where 5G base stations had been deployed over the last three months to ensure full coverage. During a launch ceremony, Shanghai vice-mayor Wu Qing made the network’s first 5G video call on an Huawei Mate X, the world’s first 5G foldable, AI phone. 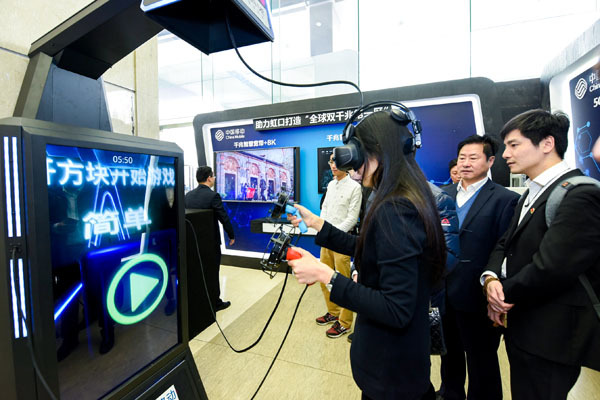 “Shanghai also targets to nurture over 100 innovative companies specialized in exploring 5G-related application scenarios, whose industrial output is expected to reach 100 billion yuan ($14.9 billion) by 2021,” Zhang said. “China Mobile has invested the most in Shanghai to date to help the city expand its 5G trial network and related applications, because it is the most developed city in China with rather solid infrastructure in many aspects,” said Jian Qin, China Mobile vice-president. According to Liang Zhiqiang, China Mobile Shanghai deputy general manager, the city’s sound economic environment, systematic industrial outlay, huge market potential and vast talent pool have given it a unique edge in information technology. This is so cool. Can’t waot for it to reach hefei later this year.